Ecumenical unity was at display at a village church blessing in Miao Diocese on 1 September 2016. 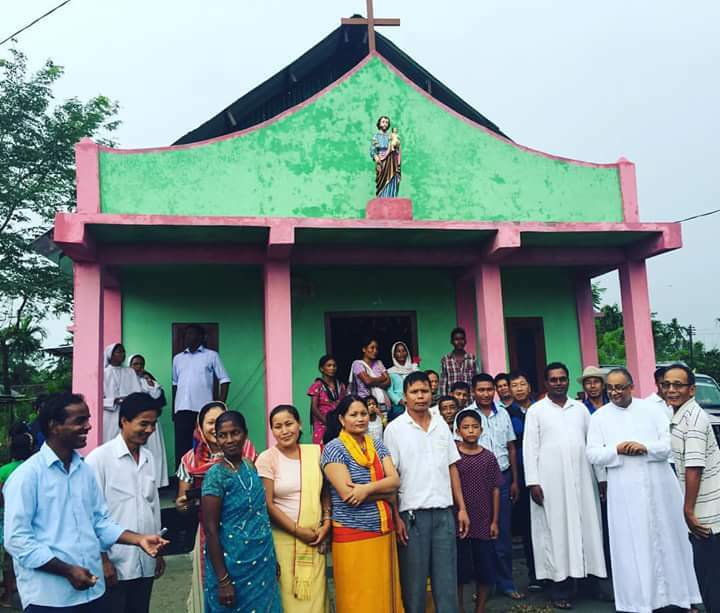 Balupathar, a small village in Changlang District of Arunachal Pradesh, witnessed a good example of Ecumenical unity in the Church during the village Church Blessing here. Every Christian community around the village was present at the blessing of St. Joseph’s Catholic Church by Bishop George Pallipparambil SDB on 1 September 2016. Mr. Tapak Siyum, a Pastor representing Christian Revival Church (CRC), said he and the members of his community were very happy to be part of this event and they would look forward to more such events in the coming days too. Leading his team with a melodious Gospel number, the CRC Pastor added, “Keeping away all our small differences, all the churches must try to foster unity and bring about transformation in the society”. Bishop George expressed his happiness at the Ecumenical gathering and said that it was a great example of Christian unity. “Church is not a building; it is the Body of Christ. The real Church is a peaceful community of believers. Today at this Church Blessing we are not only seeing a church made of bricks but also a Church made of unity, cooperation, love and peace”, he said. He also appreciated various ecumenical events held here like common Charismas Carol Singing and Palm Sunday celebrations. “I hope and pray that many more people will learn from this example and promote Ecumenical unity in the other Districts of Arunachal too. Representatives from other Christian denominations also expressed their at the expression of Christian unity at the Church Blessing. Fr. Rajesh Chinthada, the Parish Priest of Diyun Mission and the organizer of the event thanked all the church members for their active participation in the Church blessing.